Situated inside Boulder County, Gunbarrel, Colorado hold its own as a great community to live in. With plenty of open space and shopping areas, a top tier golf course, and easy access to Boulder, Gunbarrel proves it is a premier place to live in Colorado. 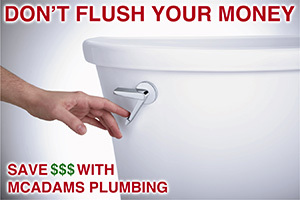 McAdams Plumbing is happy to be your first choice for plumbing repair in Gunbarrel. The best time to get a leak repaired is right away! A leak can turn from a small issue into a huge problem in very little time. 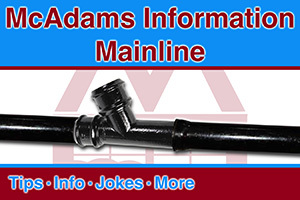 Our pros at McAdams Plumbing will hunt your leak down to the source and repair it the right way the first time. They’ll check their work and make sure everything is in order before they leave. If you’re worried about water damage then McAdams Plumbing highly recommends you have a WaterCop Automatic Water Shut-Off Valve installed. Heck, even if you’re not worried about water damage it’s a good idea. The WaterCop system consists of a automated shut-off valve, which is placed on your main incoming water line, and wireless sensors, which are placed around the home. When these sensors come in contact with water they send a signal to the WaterCop telling it to shut off the incoming water. This stops the leak in its tracks! 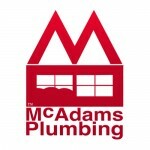 Thanks for taking the time to see what McAdams Plumbing is all about. If we can ever be of service to you please do not hesitate to call. 303-465-1900.